Jewish seniors residing at secular facilities often find that the entertainment offered is not exactly their speed, to say the least. Our culture is unique and has special meaning to us in addition to our familiarity with it. Jewish cultural music includes many Yiddish, Hebrew, Klezmer and Chassidic songs. Music speaks to our souls and allows us to transcend our limitations and our nature. The Great Lubavitcher Rebbi, Rabbi Yosef Y. Shneersohn once said. “To every lock there is a specific key, but the locksmith has a master key, which opens all locks. That master key is none other than music.” Music opens all locks and breaks all bounds. It allows us to get out of our situations and to see things in a different and better light. It gives us renewed energy and motivation. 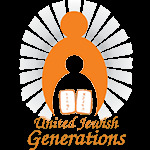 United Jewish Generations realizes the vital need for seniors to be able to enjoy the music of their heritage and therefore offers numerous music events for elder communities. With such a large variety of musicians and singers, residents are guaranteed to have a fantastic time listening to professionals put on a great show! During holidays such as Chanukah, Purim, Passover and Lag Baomer, United Jewish Generations offers live Jewish music shows to countless Jewish seniors residing at senior communities. If you would like to arrange such an event, please contact us.